Guildford is the historic and vibrant county town of Surrey, offering first-class entertainment and shopping, and is a gateway to some of the most stunning scenery in the South East of England. Guildford is known for its cobbled High Street, famous castle and cathedral, all of which draw people to the area. The town boasts a general street market on Fridays and Saturdays, as well as a farmers' market which is usually held on the first Tuesday of each month. There is a huge range of recreational activities in the area with numerous sports centres and gyms, parks and playing fields as well as two theatres, a cinema, the Spectrum leisure centre and Surrey Sports Park, which was an Olympic training venue for London 2012 athletes. 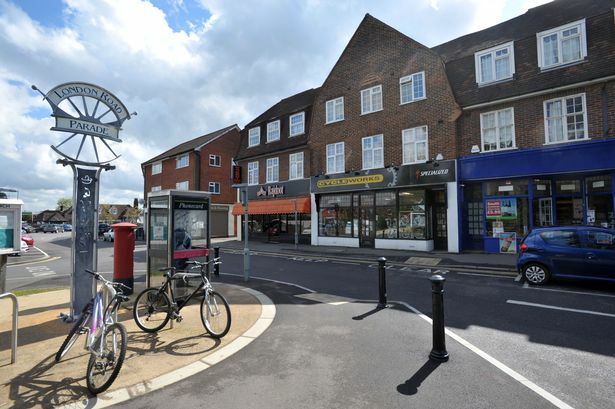 The town has excellent transport links, with the A3 linking to the M25 just 6 miles away. For those who commute by train, the service from the main-line station to London Waterloo is excellent, and takes approximately 36 minutes. London Road station also offers a good service with journeys taking roughly 50 minutes. 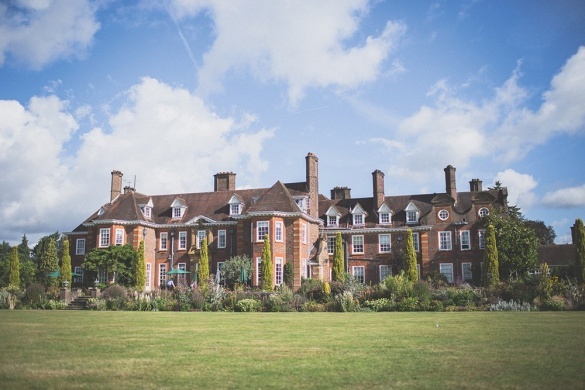 There are a number of first-class schools in the town, both state and private, including Guildford High School for Girls, The Royal Grammar School, Tormead and Lanesborough. George Abbot and The County School bring people to the area too and are recognised as some of the best state schools in Surrey. 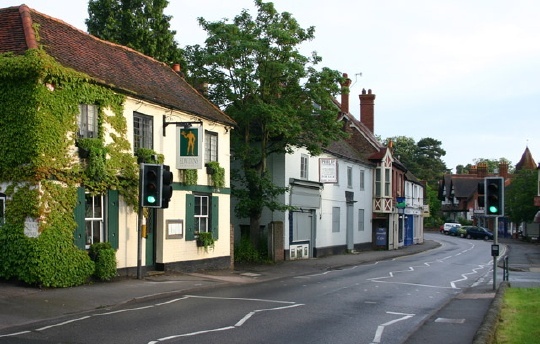 Beyond the town centre are many villages, each with their own attractions and amenities, all of which are extremely popular with people moving to the area looking for a more rural lifestyle. An overview of the Guildford villages can be found here. The university town of Guildford lies about 30 miles south of London in the Surrey Hills. The town offers huge variety in ages and styles of property, has excellent schools, both state and private and a bustling cobbled High Street and shopping centre, making it one of the country’s most desirable areas. 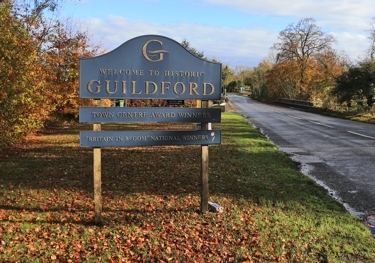 Guildford also offers a range of recreational facilities, theatres and leisure centres. For the commuter, there are 2 mainline train stations, both offering services into Waterloo, with the fast line getting you there in approximately 35 minutes. Merrow is a north-east suburb of Guildford, centred 2 miles from the town centre, right on the edge of the ridge of hills that forms the North Downs. Merrow is an attractive location for families due to the excellent local schools, including Boxgrove Primary, St. Thomas of Canterbury and St. Peters, as well as its proximity to the town centre. Property styles vary but are predominantly 1930s family size homes. Burpham is a small suburb of Guildford, ideally placed for access to London via its connection to the A3. There are two large supermarkets and a local parade of shops for day to day needs. George Abbot secondary school is a huge draw for the area, being known locally as one of the best secondary state schools in Guildford. Onslow Village is situated on the west side of Guildford, about 1 mile from the mainline station which offers a fast and frequent rail service from Guildford to London Waterloo (in 38 minutes) There is a parade of local shops as well as excellent local schools, including Queen Eleanor’s primary school and Guildford County School. 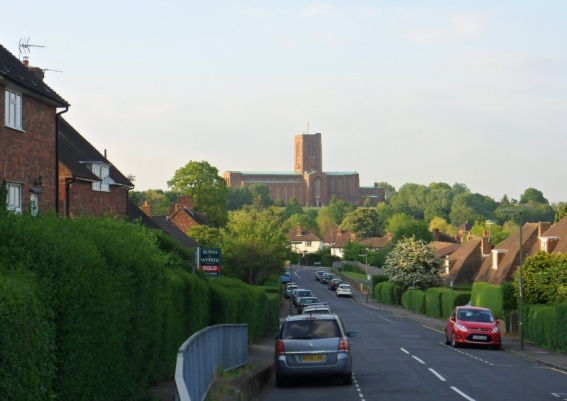 Guildford Cathedral is located near the University site, a prominent landmark within the town. 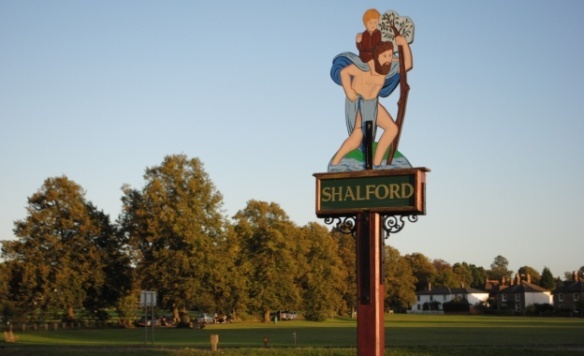 Shalford is a large village lying two miles south of Guildford with an attractive village green and pond. There is also a church, three pubs, an infant and pre-school. The branch line station connects with the main line at Guildford (one stop) with a fast service to Waterloo in 38 minutes. Bramley lies approximately 3 miles south of Guildford and offers an excellent range of local shops for day to day needs, as well as a library, post office, two local pubs and a wine bar. St Catherine’s School for Girls is also situated in the village. The area is surrounded by delightful countryside, offering a wide range of walking and riding opportunities. Wonersh is an attractive conservation village, with a cluster of pretty Grade II listed cottages and more substantial character homes in the heart of the village, together with a doctor’s surgery and shop for everyday needs. For the commuter, there is a regular train service from Guildford to London/Waterloo, and the A3 and M25 provide road access to London, and Heathrow and Gatwick Airports. There are some excellent schools in the area, including St. Catherine’s in Bramley, Prior’s Field and Charterhouse in Godalming and Cranleigh School. 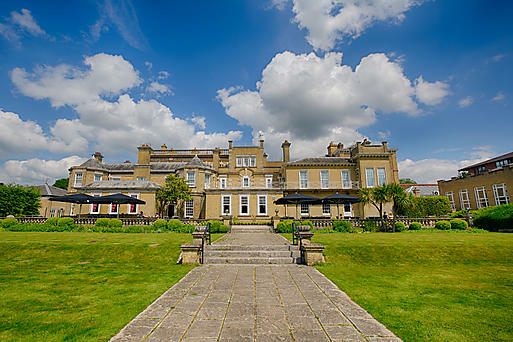 The surrounding countryside, including Blackheath and Winterfold, provide walking and riding facilities, whilst there is golf nearby at Bramley and West Surrey (Enton). 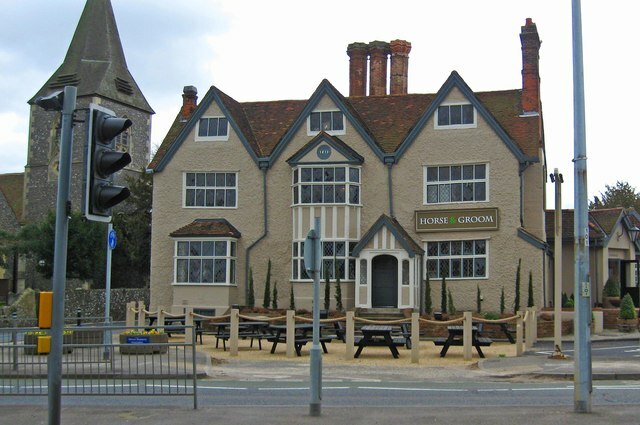 Chilworth lies to the southeast of Guildford and has three churches, two pre-secondary education schools, an independent pub-restaurant and a railway station. Footpaths lead through fields and woodlands along the ranges of hills. Chilworth is split between two civil parishes, Shalford CP to the west and St Martha's CP to the east. It also has a recreation ground with a park that has a sports pavilion used for football and cricket. 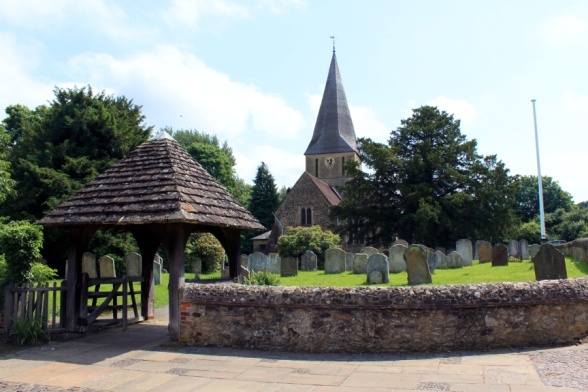 Shere is one of Surrey’s most famous and picturesque villages with a quaint atmosphere, picturesque buildings and superb scenery. The village offers local shops for day to day needs, two pubs, a tea shop, restaurants and beautiful river walks. Guildford town centre is within a short drive and offers an extensive range of shops and restaurants and has excellent transport links with a mainline train station and road connections via the A3.